Almost every person has the goal to be more fit in the New Year. Your dog and cat would benefit by joining you in this resolution! Take your dog on regular walks. 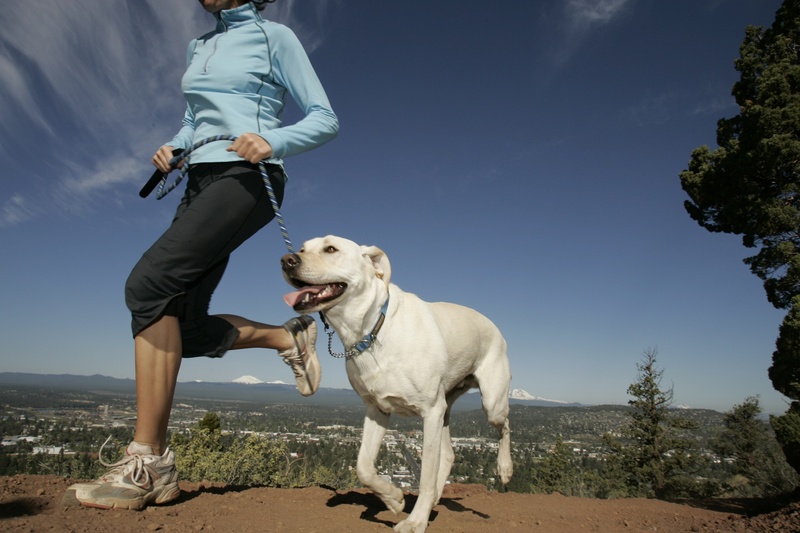 Not only will they benefit in terms of both physical and mental health (exercise for dogs often helps behavioral issues that stem from boredom), you will too! Research has shown that dog owners walk faster and burn more calories, have lower blood pressure and cholesterol, and help you escape the stresses of the day. Wondering how to get your cat moving? Cats are predators; let them use their hunting talents with a toy that mimics the actions of an animal they would normally hunt (toy mouse, bird, lizard, etc.) for some active play. Calorie counting for pets? Calories do matter for your dog or cat just like they do for us humans! That’s because their bodies work like a machine, just like ours. We need to consume “fuel” in balance with the energy we burn each day. Instead of eyeballing the food you give your pet, measure it out. Also, sharing is not caring when it comes to pets and diet. Refrain from feeding Fido or Fluffy table scraps. Not only is some human food toxic to pets (including grapes, garlic, chocolate, and more), it’s the number one contributor to weight gain, particularly in dogs. Time flies—don’t forget to savor the special moments with your furry friend. We’re all busy, but your animals need time that’s devoted just to them! Resolve to play five or 10 minutes a day. Toss a ball, tug a rope, drag a string. You’ll feel better spending time with the companion that loves you unconditionally, and so will they!